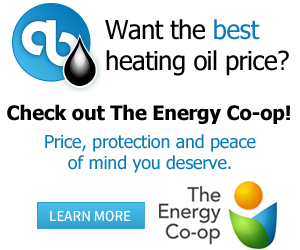 Alphabuyer: Save on electric, gas, oil and more in PA & NJ! As of January 1, 2019, Alphabuyer is in partnership with TriEagle Energy. Switching suppliers is free, there aren't any fees from us, your utility, or your new supplier. All you'll need is your utility account number and some basic info to switch suppliers. Your utility company will not change, and your savings will appear on your usual bill. We only work with reliable suppliers with a proven track record for all of our offers. A few minutes and you're done. We'll handle the switch to your new supplier. Alphabuyer is an e-commerce company that helps customers get the best rates, terms and conditions for the services they pay for every month. Alphabuyer has deals in electricity, renewable electricity, natural gas, heating oil, home energy efficiency, smart meters and more. Alphabuyer currently operates in Pennsylvania and New Jersey and is a licensed energy broker in both states. Alphabuyer currently services the following regions - Electricity: PECO Electricity, PPL, Met-ed, Duquesne Light, JCP&L, PSE&G - Natural Gas: PECO Gas, UGI Gas, Columbia Gas, People's Gas. Heating oil: Montgomery County, Delaware County, Chester County, Lancaser County, Berks County, Lebanon County, Dauphin County, York County. Show the world your Alphabuyerly-ness and refer a friend today. "This is HUGE...Save enough money to pay another bill"
- get the latest deals in your area! Copyright © 2019 Alphabuyer, Inc. All Rights Reserved.